Over the course of several posts last week (about the Grechetto and Groppello grapes), I sought to introduce you to Paul Turina and the wines that he imports. Today's post is on another interesting grape that Paul brought to my attention called Vespaiola. I had not heard of Vespaiola prior to Paul's email and certainly hadn't come across any in my local shops so I was grateful to him for the opportunity to try the grape. He and his client (Villa Angarano) call the grape Vespaiolo, which is an accepted synonym, but the official name for the grape does appear to be Vespaiola. Those of you who are into European modes of transportation may notice a similarity between this grape's name and a certain Italian scooter brand. Both names are based on the Latin word vespa which means wasp. The scooter is so named because of the buzzing sound the engine makes while the grape is so named because the grapes are naturally very high in sugar and wasps are attracted to them when they are fully ripe (for photographic evidence, check out this picture from the Wikipedia page). Those of you who are really up on your obscure Italian grapes may also note that the name Vespaiola is very similar to the name Vespolina, a red grape found in the Piedmont region of Italy. The two grapes are unrelated and the source of the name Vespolina is unknown, but it is not thought to be derived from any kind of a relationship with wasps. Vespaiola is thought to be native to the Veneto region and there are references to it in publications dating back at least to 1825. It it grown in a few areas in the Veneto (covering about 432 hectares of land in total) but its most important area of cultivation is undoubtedly the Breganze region in the foothills of the Alps. Breganze has the unfortunate distinction of being the place where phylloxera was first discovered in Italy in the late 19th Century. The scourge decimated the vineyards of the area and many producers opted to plant many of the so-called "international varieties" like Pinot Blanc, Pinot Noir, Merlot, Sauvignon Blanc and the Cabernets rather than the native grapes that were popular prior to the outbreak. Luckily there were a few who hung on to some of the traditional grapes and continued to cultivate them and we have them to thank for the existence of Vespaiola today. The DOC regulations for Breganze stipulate that any blended white wine from the region must contain at least 85% Friulano and up to 15% of Vespaiola, Pinot Bianco, Pinot Grigio, Riesling or Sauvignon Blanc. All other DOC white table wines from Breganze must be pure varietal wines and these varietal wines must meet more stringent yield requirements and minimum alcohol levels. Most Breganze wines are dry table wines, but the DOC also allows for the production of sweet wines either from partially dried grapes or grapes affected by botrytis. These sweet wines are called Torcolato and in his Grapes and Wines Oz Clarke offers the opinion that Torcolato is "one of Italy's finest sweet wines." Torcolato is made primarily from Vespaiola grapes but there is often some Garganega and Friulano in there as well (this picture shows how the grapes are hung for the passito style wines). I believe Paul has a sweet wine made from Vespaiola in his portfolio, but what he brought for me was the 2010 Villa Angarano dry table wine. Oz Clarke isn't quite as enthusiastic about this style of wine, saying "make Vespaiolo dry and you get attractive, quite characterful white wine, light and startlingly acidic but with no particular aroma." I figured the only way to see if he was right or not was to pull the cork. In the glass this wine was a pale silvery lemon color. The nose was fairly reserved with some green apple, white pear and lime aromas. On the palate the wine was on the lighter side of medium with fairly high acidity. There were flavors of tart green apple, pineapple, lemon-lime citrus, green melon and ripe pear. It was a lean, hard wine with serious acidity that was partially softened by some of the rounder pear and melon flavors, but was overall tight and sharp. I happen to really like this style of wine, but it definitely needs food to show its best (I didn't have a chance to try this pairing but I'm imagining that seared scallops would be dynamite with this). It's not a front-porch sipper but it is very well made and is very tasty under the right circumstances. 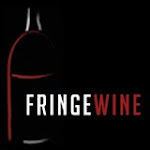 Again, if you're interested in this wine I encourage you to check out Paul's website and maybe send him an email to see how you may be able to help him make this wine available in your area. Paul was recently able to get a bottle of the 2008 Villa Angarano "San Biagio" Torcolato for me as well. 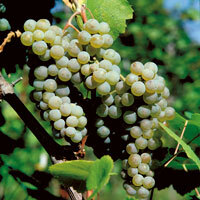 As mentioned above, Torcolato is a sweet wine made predominately from dried Vespaiola grapes. In the glass this wine was a fairly deep lemon gold color with bronze tints. The nose was intense with lifted aromatics of honey, apricot, pineapple and marmalade. On the palate the wine was full bodied with medium acidity. It was lusciously sweet with rich honey and pineapple flavors. There was also some orange marmalade, burnt sugar and baked green apple. I'm generally not a fan of passito style sweet wines, as I find that they lack the depth and complexity of botrytis-based dessert wines and tend to be just sweet and little more. While this wine certainly wasn't as complex as a fine Sauternes, it was very enjoyable and fairly well balanced. It could use a touch more acid, but long-time readers will note that that's a pretty common complaint from me and probably says more about my tastes than it does about this wine. Those interested in tracking a bottle of this down are encouraged to contact Paul through his website. These wines were given to me as samples from Paul himself. I have not been compensated in any way for writing about these wines other than with the bottles themselves. I do not have any business affiliation with Paul Turina, Turina Italian Wines or any of their associates. If you're interested in trying a Torcolato example, Maculan is a brand that is pretty widely available, so you might inquire with one of your retail shops about a special order. Definitely worth seeking out! Way to completely capture my interest with this post! Sounds like an interesting, yummy grape. Will keep a look out for the chance to try it. Thanks for the write up!